Council members are saying Mayor Catherine Pugh should not return but others are supporting her. BALTIMORE, Md — Some City Council members are saying that Mayor Catherine Pugh should not return to office. Councilman Zeke Cohen thinks Mayor Pugh has lost the moral mandate to govern and the public's trust. Comptroller Peter Franchot also thinks she should resign. 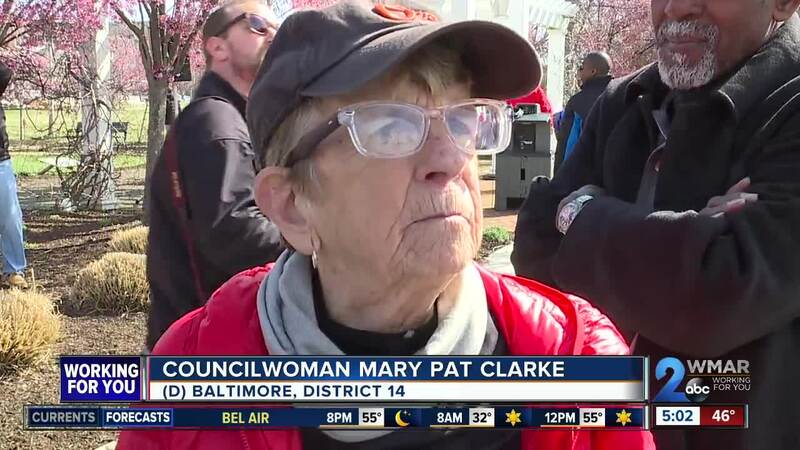 However, Councilwoman Mary Pat Clarke thinks otherwise. "I think that's up to a lot of people that aren't me," said Clarke. "A lot of situations aren't mine. Right now I'm focused on moving forward. I'm not calling for anything except for people to gather together and have faith." Clarke also thinks the city's government is moving forward and today is day one of a different kind of period.